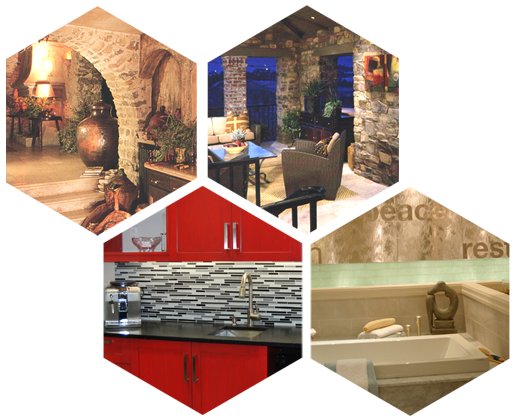 Stone Surfaces is considered a foremost fabricator and installer of natural stone and is the premier choice of many architects, interior designers and savvy consumers. Developed with integrity, passion and a vast knowledge of natural stone products gained by over 35 years of experience in the business, Stone Surfaces and its staff are committed to excellence, and this combined knowledge and enthusiasm is the reason we always meet our customer’s performance and design expectations. We search the world to offer a wide variety of tile, stone and decorative pieces from the highest quality marble and granite to price-sensitive travertine. Through the years, Stone Surfaces has supplied and installed tiles and cut-to-size custom stone slabs for flooring and wall applications for countless prominent residential and commercial design projects and has been featured in many home and decoration trade magazines. At stone surfaces we believe in serving with integrity, quality and passion, we consistently deliver sophisticated elegance or rustic charm to complement our clients’ individual requirements. Our goal is to offer quality marble fabricating services to people’s home and make it more beautiful and loveworthy. The unmistakable beauty of natural textures and colours, combined with the versatility of design, sets our stone apart from other finishes. Our distinctive stone products work in harmony with other materials and can be used in both traditional and contemporary environments. With over 35 years of experience in the stone industry, our experts work with you to provide solutions that complement your customized residential or commercial requirements and budget expectations. Stone Surfaces and its staff are committed to excellence, and this combined knowledge and enthusiasm is always available to our valued customers.